Ruth Rendell published Tigerlily's Orchids in 2010. It's a stand-alone novel, and it's clear that she was trying to do something a bit different with it. I always find it admirable when an established author breaks away from their accepted patterns, or attempts to do so. In this case, the attempt is only partly successful, but it's still an intriguing and readable book. What's different is that that this book is an ensemble piece. The main focus isn't on a single protagonist, or even on a single crime. Instead, we're presented with Lichfield House, in a dreary London suburb, a place which has been divided into flats. Rendell examines the lives of the occupants, and their numerous misadventures, and also gives a compelling picture of the transience of London life. By the time the story comes to an end, much has changed in Lichfield House. Some lives have ended, some have been changed forever. And as the final lines indicate, one of Rendell's concerns here is the gap between imagination and reality. This is a good idea for a story, but it carries risks. In particular, there is a danger of a lack of focus, and I'm not sure that Rendell avoids falling into the trap. At first, the key storyline concerns Stuart, one of her superficially attractive young male protagonists, but really a stupid and unlikeable character. His affair with a solicitor's wife causes ructions when the solicitor finds out the truth. The solicitor and his wife are well matched; both are deeply unpleasant. Murder is eventually done, but the crime (and its solution) is dealt with very casually by Rendell, almost as if having set up a teasing mystery, she could no longer be bothered with it. Attention shifts from one character to another in a way that is, at times, irritating. And several of the characters are all-too-recognisable Rendell types. But there are compensations, including a sub-plot about a loathsome caretaker that raises interesting questions about society, and the behaviour of paedophiles. I found the story interesting and readable, but it's certainly not vintage Rendell. It felt rushed, and in need of a vigorous editor. This impression of a lack of editing was, unfortunately, a recurrent failing in Rendell's later books. I sense that she was writing too much, too quickly. But that said, even a minor Rendell novel still offers enough interest to deserve attention. Long before Ethel Lina White, and her tales of women in jeopardy, even longer before Gillian Flynn, Paula Hawkins, and company and their stories of girls in difficulty, there was Mary Roberts Rinehart. Mary it was who established the "woman in peril" story in the twentieth century, taking ingredients from Mrs Braddon and other Victorian writers, and fashioning them afresh in creating stories of suspense with female protagonists. The most famous Rinehart story was The Circular Staircase, and the play that she and Avery Hopwood developed from it, The Bat, has been filmed several times. The version that I've come across recently on Retro Movies dates from 1959, and stars Vincent Price, although really Price is just one figure in an ensemble cast. The Bat was marketed in those more innocent times as a horror movie, but essentially it's a classic mystery, with a least likely person suspect. There are two crimes at the heart of the story. First, there's the mysterious serial killer "the Bat". Second, there's a chap who steals a million dollars from his bank in a robbery that struck me as profoundly misconceived. The hapless thief dies early in the story, shot by Vincent Price. This is a creepy mansion story, and the key question is: where is the secret room in the mansion, and the loot hidden within it? We are treated to a variety of plot developments, including the cutting of phone lines, before the truth is revealed. Yes, it's hokum, but it's done with a zest which means that the film is quite watchable, despite flitting from one cliche to another. Dean Street Press have done great work in recent years, making available again a very large number of previously obscure Golden Age mysteries. Although their main market is in ebooks, they also issue print versions which are nicely produced paperbacks and which are well worth seeking out if you prefer that format (as I do). Their approach has enabled them to print long runs of the works of certain authors, such as Punshon and Bush, and this is a valuable service for readers. Not so much because thousands of people will want to read the complete works, but because at long last fans have the chance to pick and choose titles, according to their taste. The Press's latest ventures have been to reissue books by authors I haven't previously read, Moray Dalton and E. and M. Radford. Another merit of their approach is that they include informative introductions. The Dalton books are introduced by Curtis Evans, and the Radford books by Nigel Moss. And in the case of Dalton's The Strange Case of Harriet Hall, there is also a very useful afterword which deals with a subject that would otherwise be a spoiler. Moray Dalton was the pen-name of Katherine Dalton Renoir (1881-1963), who wrote a couple of early novels before indulging in criminal fiction from 1924 to 1951. In that time, she produced no fewer than 29 books, but they have long been hard to find; now Dean Street Press has issued five, and there may well be more to come. In her early days, she shared a publisher with E.C.R. Lorac, but never achieved anything approaching Lorac's success. On the evidence of this book, Dalton was a good writer. She has a nice turn of phrase, and her interest in character is striking. I was impressed. There is also a memorable plot twist before the story is half-way through. On the debit side, there is a certain lack of focus about the story. We begin with one likeable character who has an odd encounter with Harriet Hall before attention switches to tensions within the Dene family, which comprises a mother and three siblings. The Denes clearly fascinated Dalton, and relations within the family become central to the story. I felt that the later plot developments didn't exactly reflect a commitment to fair play plotting, and I sensed that Dalton was less concerned about unravelling the mystery in a satisfactory fashion than most Golden Age writers. This may help to account for her obscurity. But her prose, straightforward and readable, is of a quality to make this novel well worth reading. In my young days, I had a recurrent dream. It was a dream in which I discovered an Agatha Christie novel I'd never read. Yes, I'm afraid that I was so hooked, and so frustrated when I'd read her complete works (up to that point) in the genre that I yearned to find a new one. And to this day, when new Christie mysteries come to light, I'm very pleased. 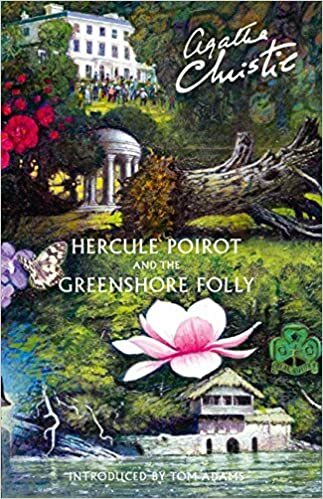 I've just caught up with Hercule Poirot and the Greenshore Folly, a novella written in 1954, but not published until 2014. Christie turned the story into the novel Dead Man's Folly, a mystery for which I've always had a soft spot, even though many Christie purists assure me it's not one of her best. This edition has wonderful jacket artwork by Tom Adams, who was responsible for so many of the covers of Fontana paperback editions of Christie that I devoured in my youth. He also contributes a foreword, and in addition there are pieces by Mathew Pritchard and John Curran. The novella is a truncated version of the novel, but I was pleased to read it. And it's a lovely production, with illustrated endpapers and a colour reproduction of Adams' artwork for Dead Man's Folly. Incidentally, if you fancy buying the original typed ms of the novella, you can pick it up on Abebooks for a mere £10,000. But if that's a bit too much of a stretch even for a completist, I can definitely recommend the Harper Collins edition! An early and rare Christie short story is the highlight of another Harper Collins publication, this time dating from last summer. Bodies from the Library is an anthology edited by that leading researcher Tony Medawar. It comes as something of a shock to me to recall that Tony and I first met almost thirty years ago, when we both took part in a Mastermind quiz at the 1990 London Bouchercon. Since then, he's made many discoveries, often reporting them in CADS (whose editor Geoff Bradley kept score in the same quiz.) One of the most interesting is a lost Christie treasure hunt story, set on the Isle of Man and called "Manx Gold." It can be found in While the Light Lasts. The Christie story in the book is "The Wife of the Kenite", which dates back to about 1922, and first appeared in an Australian magazine. The plot twist is one she used subsequently, not least in a splendid radio play, but this apprentice effort shows already the slickness of her storytelling. The anthology as a whole takes its title from the Bodies from the Library conference, which has become a highly enjoyable event based in the British Library over the last few years, and which will return in June. The anthology doesn't have a connecting theme, and the stories are a random assortment from some notable names. I was pleased to see two long-time favourite stories of mine making an appearance - Cyril Hare's "The Euthanasia of Hilary's Aunt" and A.A. Milne's "Bread upon the Waters". Both are very well-crafted stories (Milne's makes me wish that he'd written more extensively in the genre), and the same is true of a Roy Vickers story I hadn't read, "The Starting-Handle Murder". This one dates from 1934, and forms part of Vickers' long-running and celebrated series of short stories about the Department of Dead Ends. I was sorry to learn of the death earlier this month of George Locke, a bookseller whom I got to know slightly some years ago. George was a well-known figure in the book trade, and he did some writing himself, as well as some publishing. He was particularly prominent in the field of sci-fi and fantasy fiction, and his imprint was called Ferret Fantasy, but our encounters concerned detective fiction. Almost a quarter of a century ago, George published The Roger Sheringham Stories, a limited edition of 100 copies of tales about Anthony Berkeley's Golden Age sleuth. This book is now very hard to find - my copy once belonged to the late Edward D. Hoch - but George recognised Berkeley's merits at a time when his work had fallen out of favour and out of print. He also produced The Anthony Berkeley Cox Files: notes towards a bibliography, in 1993, under the pen-name Ayresome Johns, which contains a good deal of interesting information about the enigmatic ABC. Again, this is a rare publication; at present there are two copies on Abebooks, the cheaper retailing at $350. I bought a few items from George - not many, because his prices were high and my funds were limited - but his stock was always interesting. Two purchases in particular have brought me considerable pleasure. The first is Dorothy L. Sayers' typescript for the first chapter of "The Scoop", an expansion of the published version, which she intended to form part of a full-length novel, a Detection Club project that proved abortive. The second was Sayers' annotated copy of The Trial of Constance Kent, which I discussed in The Golden Age of Murder - utterly fascinating. George tormented me from time to time over the years by talking rather vaguely about obscure Detection Club material which he thought he might have in his shed at home, but which he could never actually lay his hands on. Aaaaagh! He was also very deaf when I knew him, but although conversations were tricky, he was a fascinating character, and I was very sorry to hear the news. I'm remember him with affection. I was first drawn to Martin Russell's books many years ago, when I started borrowing them from my local library. His crime novels were a Collins Crime Club staple, and I very much enjoyed the clever plots. I think it's fair to say that characterisation wasn't his main interest, but his ingenuity was impressive. He continued to publish into the 1990s, and is still alive, though I've never met him, which I rather regret. One day recently, while going through some old crime fiction reviews written by Edmund Crispin, I came across a rave review for Russell's 1975 novel The Client, and I decided to give it a go. It's an unusual stand-alone novel of psychological suspense - although Russell did create a series character, the journalist Jim Larkin, he didn't last long - and my impression is that the author was here aiming to create a more in-depth psychological portrait of a damaged individual, while preserving the mystery element. Two men and one woman are drawn to a house in Streatham by an advertisement placed by a solicitor. They all had connections to a young and apparently wealthy woman, Susan Bradshaw, who dreamed of becoming a model. But Susan is dead (or is she? nothing can be taken for granted in this story) and she has given the solicitor some very curious instructions, which must be followed to the letter. It soon becomes clear that the three people who have been summoned all played a negative part in Susan's life. Something sinister is going on, but we can't be sure exactly what it is. As usual with Russell, the story is told fluently, and the pages keep on turning. I wasn't convinced that the ending lived up to the premise, and I didn't love the book quite as much as Crispin did - but even so, its originality was impressive. Well worth seeking out. Unsane is an intriguing recent movie directed by Steven Soderbergh. It's a psychological thriller, but as you'd expect from Soderbergh, it's by no means conventional or obvious, even if the final section of the story is more routine than what precedes it. And quite apart from the well-made script, the film is of interest because it was filmed on an iPhone. Blimey, what next? I've read some reviews which quibble about the quality of the film because of the way it was filmed, but all I can say is that it didn't bother me. On the contrary, it rather reinforces my admiration for what Soderbergh has done. The star of the film is the accomplished Claire Foy. Now she was born in Stockport, which I still think of as part of Cheshire, although it was long ago sucked into the amorphous mass that is "Greater Manchester". In the film, she is reasonably convincing as an American rejoicing in the name Sawyer Valentini. We soon realise that Sawyer is troubled, though we don't know why. When she seeks help from an apparently sympathetic counsellor, her life begins a downward spiral. She signs a document without reading it and finds that she has voluntarily committed herself into the "care" of a mental hospital for 24 hours. Her attempt to get the police to rescue her fails, and she proceeds to make matters worse for herself by claiming that one of the attendants in the facility is actually a man who has been stalking her. She's deluded, of course. Or is she? The story develops in a pleasing way, with several shifts that I found intriguing. The question of what will happen to Sawyer keeps us gripped, but along the way Soderbergh raises other issues, about health care and insurance in the US, and the extent to which people who don't fit into society are disbelieved when a more balanced view may be much more appropriate. Thought-provoking and definitely worth a watch. The Murder Room is novel that P.D. James published in 2003, and it was brought to the television screens a couple of years later. Unaccountably, I neither read the novel (though a copy is to be found in my tottering TBR pile) nor saw the television show; I suppose the reason is that I was very preoccupied with my day job as well as my own writing at the time. I was kindly given a DVD set at Christmas which contained the TV version (as well as that of Death in Holy Orders) and I've just caught up with it. Both shows feature Martin Shaw as Adam Dalgleish, rather than Roy Marsden, who made the role his own. But I felt that Shaw gave an excellent performance. He is an actor who made his name in tough guy roles, but he's very expressive, and a single glance counts for a thousand words. I was equally impressed with the show as a whole. The script, by Robert Jones, was sharp, with some excellent lines (I'm not sure how many of them come from the book, which I'm now very keen to read). And the acting generally was of a high standard, with Samantha Bond, Janie Lee, Anita Carey, and Jack Shepherd exceptional. I loved the storyline, which focused on a museum with the eponymous murder room devoted to classic real life cases of the Golden Age - Wallace, A. A. Rouse, and so on. This is a subject I'm exploring at present in my work-in-progress, and I was fascinated to see what was made of it in the context of a twenty-first century whodunit. First-class viewing for mystery fans. John Bingham's fourth novel, The Paton Street Case, received rave reviews when it appeared in 1955. Julian Symons hailed it as a "brilliant tour de force" - high praise from a stern critic - while Time and Tide described it as "a superb detective story in the classical tradition". I enjoyed the book, but one thing to say right away is that to describe it as a detective story in the classical tradition strikes me as weirdly inappropriate. This is a police story in which the likeable detective makes various dreadful mistakes, more than once with fatal consequences. Although there is a pleasing twist, it's essentially a downbeat and disturbing story of post-war urban life, far removed from the world of the country house or the pretty village, to mention two milieux commonly associated with classic crime. A fire at 127 Paton Street leads to the discovery of a dead body. Have the owners of the premises, a German-Jewish couple, something to hide? It soon emerges that Otto Steiner had reason to wish his unpleasant lodger ill, and although Inspector Morgan is sympathetic to Steiner in many ways, his treatment of Steiner proves disastrous. At first, I thought this was going to be a relentlessly dismal story, and I didn't care over-much for the occasional bits of authorial intervention in the story as it unfolded. But I must say that as matters developed, and the plot complexities began to emerge, I found myself gripped by Bingham's blend of neat plotting and thoughtful characterisation. I wouldn't go as far as Symons in praising this novel, but I did conclude that overall it was a very good example of the British crime story of the 1950s. It also casts considerable light on the lives and behaviours of fairly ordinary people caught up in extraordinary and distressing events. And it's also an intriguing social document. All in all, then, a book that is at times poignant and is certainly worth reading. 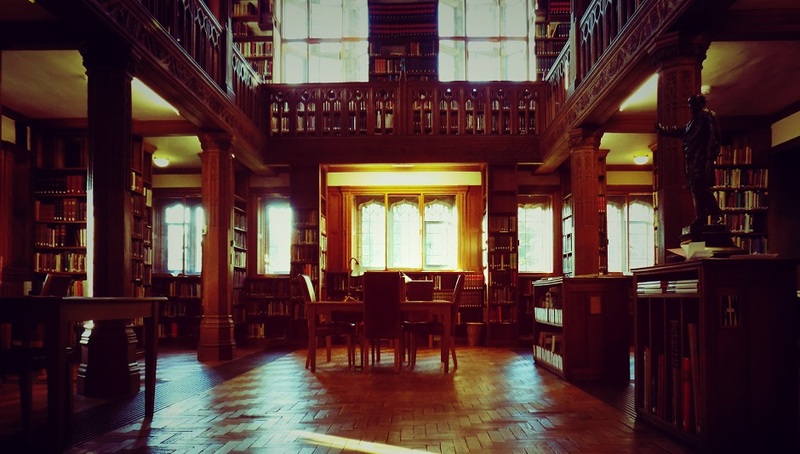 I'm delighted to announce that this year's Alibis in the Archive will take place at Gladstone's Library from 21-23 June. Booking details are here. If you'd like to attend, you can choose between a residential place (either in the Library itself or a nearby guest house or hotel) or a non-residential place, making your own arrangements as regards accommodation or travelling in each day if you live in the area. There's plenty of accommodation in the vicinity and some excellent guest houses and hotels. So what's it all about, Alibis? 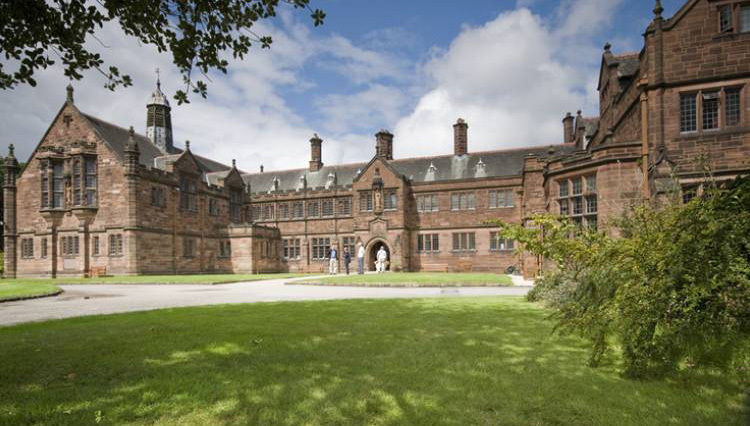 Well, it's a weekend devoted to crime writing and its heritage, given that Gladstone's Library, one of the most stunning libraries in Britain or indeed anywhere else, is home to the British Crime Writing Archives. These bring together in one place the archives of the Crime Writers' Association and the Detection Club. We've assembled a great line-up of speakers and subject to one or two possible tweaks, the programme is already more or less complete. The speakers include Peter Robinson, author of the brilliant DCI Banks series, which has given rise to a highly successful TV series. Peter will talk about the series and his TV experiences, and will also be in conversation with me about other crime writing subjects. There will be a talk by another of our leading crime novelists, the fantastic Frances Fyfield. She'll be discussing P.D. James, and since she was a very good friend of Phyllis James, I am sure there will be some fascinating insights into the person as well as the books. Other speakers include Aline Templeton, Janet Laurence, David Whittle, Alison Joseph, and subject to confirmation Ragnar Jonasson, a translator of Agatha Christie as well as a highly successful novelist of the new generation. And me. So it's a varied line-up, and I know that each of my colleagues on the programme is a highly accomplished and interesting speaker on the subject of crime writing.